This is a simple C++ program to make a car race game. It uses object oriented approach to generate different objects in the game such as using Car, Obstacle and Timer classes. The code draw objects using Graphics Mode by using initgraph() function. You have to reach the finish line before the time goes out. There are many hurdles in your way. 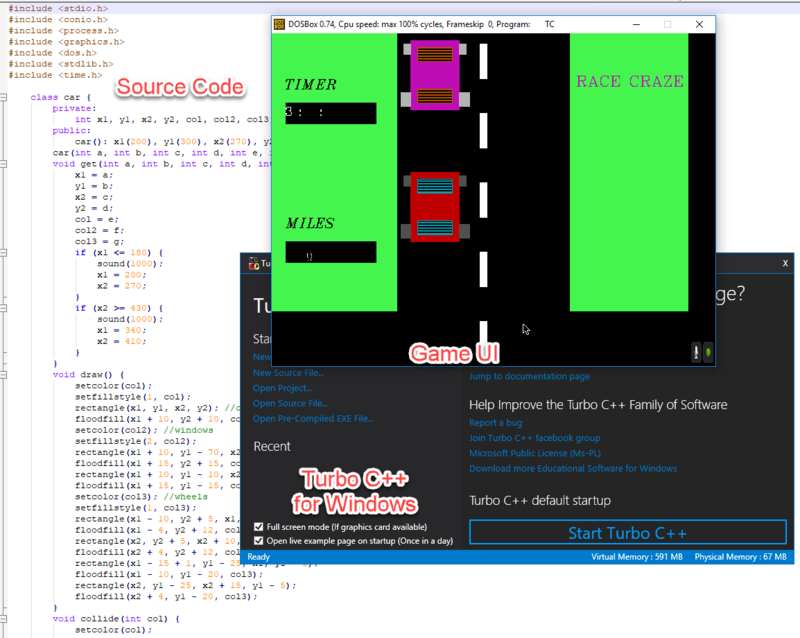 Download Turbo C++ For Windows using the this link.